My second post is up at PopMatters, this time looking at an actual game. Thanks to the scheduling of the hiatus on the Moving Pixels Blog at the end of last year meant that my second post would be pushed back to the new year. Driver: San Francisco is a game that is so much better than its advertising gives it any right to be. This is another case of the developers and PR not knowing how to sell their own game. 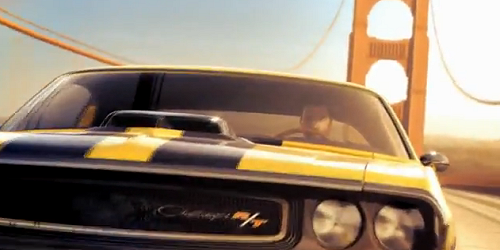 Driver: San Francisco is a slow burn of a game. It sounds like a stupid premise with maybe the best it can reach for stupid fun. But it isn’t. It is a very thoughtful and reasoned game. For crying out loud this is a game where the police actually perform police work. The premise is ludicrous, but it’s how the game uses it. This was a post I struggled to write mainly because I started writing a completely different post on the game and ended up write one draft that had three posts within it. Of course they weren’t one after another, they were woven into each other. Every other paragraph belonged to a different post and then it became every other sentence and then I topped it off with parts of what ended up in the PopMatters piece. I’ll be fitting the rest of the content into different posts at some point. I was worried that it wouldn’t come out to well with me hammering on certain points too much or maybe repeating myself in the text. But seeing it live I can say that I don’t think all my worrying was warranted. It flows well and I have to thank G. Christopher Williams for the new title. That has been a real thing for me lately hasn’t it? So, take a look at what I think magical realism does to the undercurrent meanings of Driver: San Francisco.